Like Jatman, this is a simple Bored Game. Will Jatman play or not? And if he doesn’t take the field, what will the reason be? 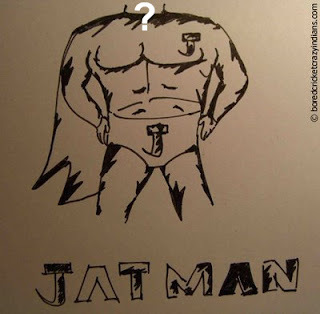 Is there any reason to Jatman? No, but still tell us. The Bored Game champs’ name will be announced here. End of game. Hopefully not of Jatman. Bade log hamesha intezaar karate hain. So Jatman will not play. He will nurse his injury and be back for the Super 8 - the big stage. No. Because now he says "AWESOME" instead of "of course"
But if he does it will be just another "show of unity".